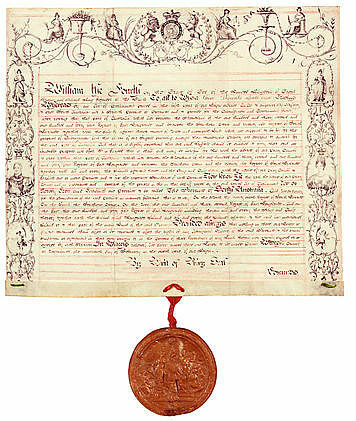 The Letters Patent used the enabling provisions of the South Australia Act 1834 to establish the Province of South Australia and precisely define its boundaries. They also went beyond the strict provision of the Act by including a significant guarantee of the rights of 'any Aboriginal Natives' or their descendants to lands they 'now actually occupied or enjoyed'. There was some confusion about how to establish the Province under the Act, which had omitted precise directions. After negotiation with the Colonial Office, the Colonisation Commissioners (who had been appointed in May 1835) drafted a document which was 'laid before the King for the Sanction of His Majesty in Council', and adopted. The authority for establishing government in the new Province was the Order-in-Council also issued in February 1836. Jaensch, Dean (ed. ), The Flinders History of South Australia: Political History, Wakefield Press, Adelaide, 1986. Pike, Douglas, Paradise of Dissent: South Australia 1829–1857, 2nd edn, Melbourne University Press, Melbourne, 1967. 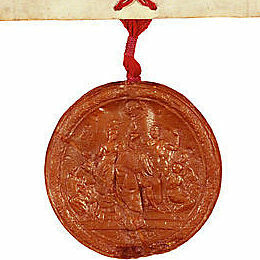 Detail of the wax seal attached to the Letters Patent establishing the Province of South Australia 19 February 1836 (UK).